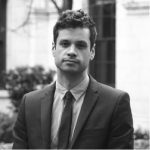 Antonio Silva is a Senior Advisor at the Behavioural Insights Team. He studied Environmental Biology and worked as a photographer, before doing a MSc and PhD in Anthropology at University College London. His PhD focused on the interplay between conflict and cooperation using naturalistic measures and field experiments with the Catholic and Protestant communities in Northern Ireland. At BIT, he leads the work on social cohesion and integration with current projects highlighting shared identities between existing and new citizens through enhanced citizenship ceremonies, and using non-cognitive skills to reduce prejudice and promote tolerance in young people in schools.